Note: this taxon list is still under construction. It does not yet contain all known Melolonthinae subgroups. Ahrens, D. 2006. The phylogeny of Sericini and their position within the Scarabaeidae based on morphological characters (Coleoptera: Scarabaeidae). Systematic Entomology 31:113-144. Andriamampianina, L. 2003. Scarabaeidae: Melolonthinae: Tribe Enariini, Scarab Beetles. Pages 677-686) in The Natural History of Madagascar. Goodman, S. M. and J. P. Benstead, eds. University of Chicago Press, Chicago. 1709 pp. Bezdek, A. 2004. Catalogue of Diplotaxini (Coleoptera: Scarabaeidae: Melolonthinae) of the Old World. Zootaxa 463:1-90. Evans, A. V. 2002. Scarabaeidae Latreille 1802: Melolonthinae Samouelle 1819. Chapter 34-III in American Beetles. Volume 2. R. H. Arnett, M. C. Thomas, P. E. Skelley, and J. H. Frank, eds. CRC Press, Boca Raton, 861 pp. Evans, A. V. 2003. A checklist of the New World chafers (Coleoptera: Scarabaeidae: Melolonthinae). Zootaxa 211:1-458. Itoh, T. 2003. 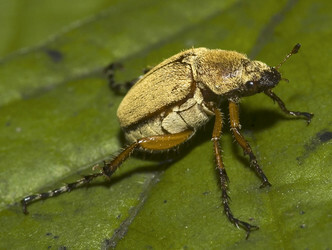 Notes on the melolonthine beetles from southeast Asia (Scarabaeidae, Melolonthinae). Kogane 4:17-22.